The day we picked Axel up. Axel is a beautiful pup!! Thank you for sharing Axel. He is such a precious puppy! I love the photo, that you posted of Axel. How adorable is that little puppy! Axel is growing into a Handsome Shepherd. Enjoy this puppy time, its so precious; bonding, teaching and training and lots of hugging etc. I can't believe his ears are staight up at 5 months, that's great but be careful he doesn't scratch them too hard, ears at delicate during his teething. 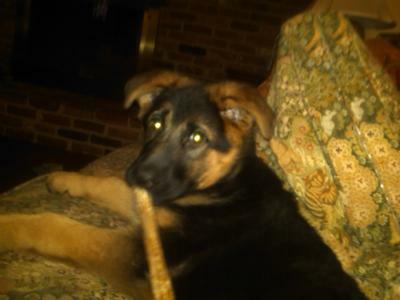 Mia my Shepherd is now 2 yrs we got when she was 12 weeks, they bring so much joy! 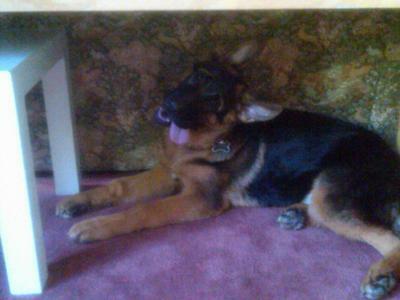 You can read our story; GSD puppy Mia and Mia My Beautiful German Shepherd Dog. Axel will grow big and strong. 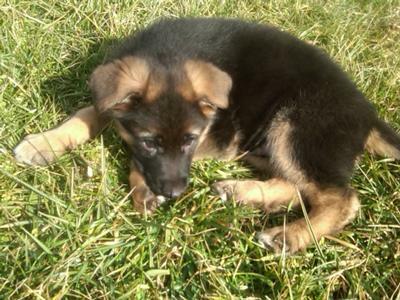 German Shepherds are Loyal, Trustworthy, Obedient and Protector that's what they are it's in their blood. Take care of your boy and he will take care of you!